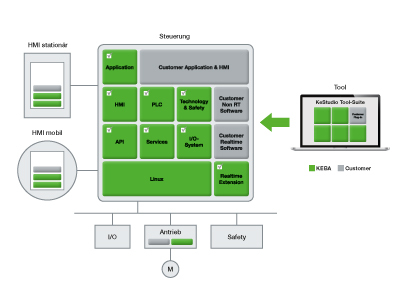 I4.0 solutions for a significantly increase in flexibility and productivity in the manufacturing process. Key for achieving peak performance is to be perfectly equipped and have a strong partner by your side. Let us be your partner with our open turnkey solution KeControl FlexCore. 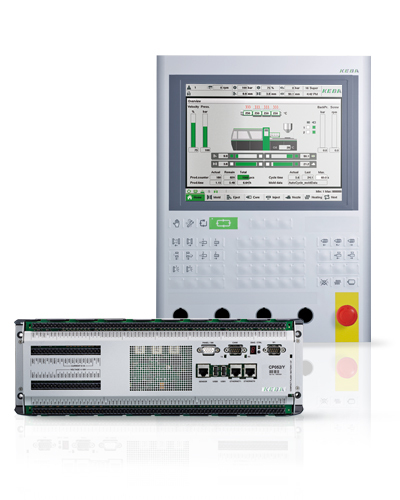 In the area of industrial automation, we have succeeded in combining standards with maximum flexibility – with the goal of offering optimized complete solutions (hardware & software) from a single source. By focusing on the plastics injection molding, robotics and packaging sectors, we are able to offer considerable advantages to our customers. Moreover, with innovative operating and visualization solutions as well as an open control platform, we are more than able to meet our customers’ requests for maximum customization and investment protection as well as fast time-to-market. Our experts offer the best-possible support during every phase of the machine life cycle. Maximum benefits and highest productivity have top priority here. That is our understanding of long-term and successful cooperation. From simple hydraulic injection molding machines up to complex, multi-component systems with robotics for further processing, KePlast solutions cover the complete range. 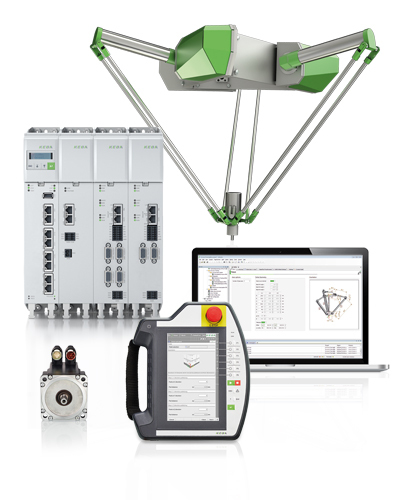 KeMotion stands for the fast, open and customizable automation of robots and machines in the Industry 4.0 era. Thanks to the scalable hardware in combination with many high-performance technology functions and turnkey software packages, the optimum solution can be created quickly and easily. KeMotion Packaging complements the strengths of KeMotion with additional special packaging functions – it is optimized for the requirements of the packaging industry. The highest throughput rates as well as maximum flexibility for product changeovers and program changes are guaranteed. 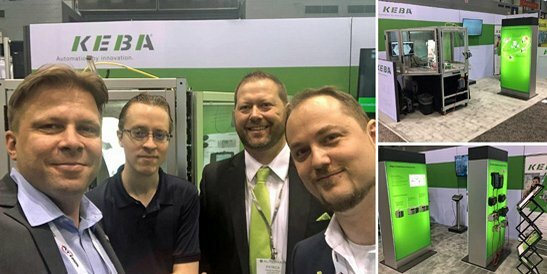 With the acquisition of DELEM in 2013, KEBA expanded its own industry segments with the addition of sheet metal working. DELEM is a technological leader in the automation of press brakes. Renowned machine manufacturers around the world rely on their outstanding solutions. 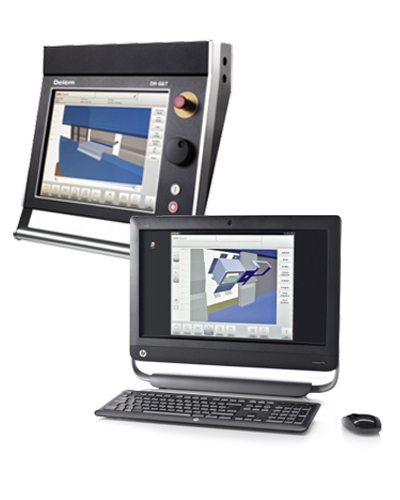 Best ergonomics and an intuitive user interface are key factors for efficient operation and monitoring. With the KeTop devices, high-performance, application-optimized hardware is available. The turnkey TeachView robotics user interface enables fast and easy teach-in. 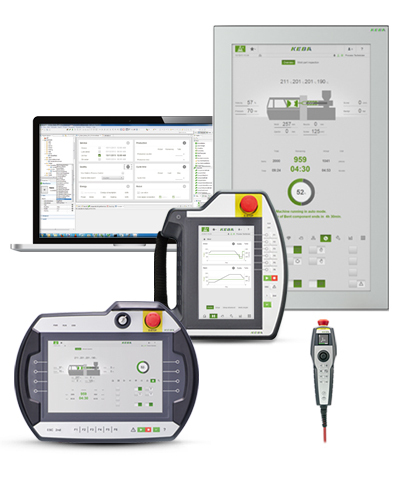 User-friendly HMIs are created with the easy-to-operate KeView visualization software - an optimum user experience is guaranteed. 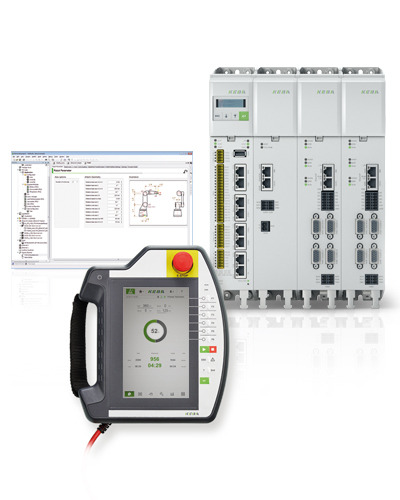 KeControl FlexCore is a comprehensive and scalable automation system with modular design. It permits adaptations on all levels of the control architecture. Customers select the required modules and complement these with their own software packages and runtime systems directly on the Linux operating system level. The use of basic functions, such as I/O access, diagnosis and communication service, is easy to realize directly from the C/C++ environment. An extremely high level of customization is thereby achieved. Focusing on one’s own core competencies guarantees the best-possible differentiation from the competition. We know the market requirements for successful automation solutions and speak the same language as our customers. The basis for this is 50 years of experience on the market and profound application know-how. 100 % of development and production of all hardware and software components takes place in house at KEBA. All technologies and services are optimally adapted to one another. Our experts offer the best possible support during every phase of the project. They provide support during project work and sales within the scope of the end customer project and prepare sound feasibility studies. During commissioning and product changeovers, we support our customers with extensive on-site support. To ensure maximum availability, we offer 24/7 service and are present on-site with our subsidiaries. We always keep you up to date. You can find news and events from our industrial automation area at a glance here!